Not surprisingly, the rise of right wing terrorism is happening in Europe as well as the US. In France yesterday, six people were arrested for planning an attack on President Macron. That's on top of the more than 20 arrests of other right wing terrorists throughout the summer and autumn in several different plots designed to attack Muslims, places of worship and political figures. It's quite clear that the threat of terrorism is now primarily coming from the extreme right, fueled by extremist populist movements in many Western nations. The question is, when will enough be enough, and what should be done? Change is slow, but it is good to have examples to point to once you have an administration willing to do the right thing. Unfortunately, the US is utterly schizophrenic when it comes to tackling foreign vs. domestic terrorism. What's to be done? Stop making up nonsense like this for a starter. sophistication of their preparation and execution. casualties than any other terrorist attacks. "on the rise" isn't the same as "a majority of". Odd that for some, the distinction needs to be made. Odd that for some, three sentences are too much to parse. My interpretation is that compared to the massive resources pumped into fighting violent Islam, radical-right violence is extremely understaffed and underfunded. At this point, both Europe and the US can do more for fighting terrorism by putting more resources into right-wing terror than by adding to the vast resources for combating Islamic terrorism. Can't we just have the jihadists and skinheads duke it out, Thunderdome style? That says a lot about the threat. The fact that Islamic terrorism is still vastly over-represented in terms of attack impact despite the huge resources levelled against it tells us a lot about the overall problem in terms of scale. Factor into this the pool of potential jihadis vs the pool of potential Nazis and you're talking about a staggering over-representation of the Islamic threat in Europe. This is true even in the US, where 51% of the fatalities* from terrorist attacks in the past 15 years are from Islamic terrorism... and Muslims only comprise 2% of the population. * With the recent synagogue attack that figure is more like 49%, but you get the idea. If we're going to quibble we could extend the range a few years and include 9/11. Or do both. All terrorism is equally despicable and needs to be prevented, but let's not kid ourselves about where the overriding threat is coming from. They are are more likely to come out officially as allies. The one never had as good a friend as the other after all. AFAIK terrorist attacks are typically perpetrated by the most conservative Muslims. Just because they don't get along well with Christian/Jewish ultra-conservatives doesn't mean they are not conservatives themselves. In France yesterday, six people were arrested for planning an attack on President Macron. ... translates to "moderate left" in American terms. Ironically, Nazis and Islamists have made common cause in the past. Indeed, Islamists are to the right of actual Nazis, but I think we all know who's being referred to in the OP. The Macron plotters appear to have been pretty incompetent. In a closet. And give them all hand grenades. Pointing out that the assertion of the OP, that "it's quite clear that the threat of terrorism is now primarily coming from the extreme right", is false, is directly addressing the point. Posting statistics and a link to a definitive document on the matter is directly addressing the point. Speaking further to that is also directly addressing the point. Posting irrelevant crap about Mike Pence is not addressing the point, directly or otherwise. Yeah... terrorist attack. The definition of which is rather vague. Meanwhile ideologically motivated murders in the USA have been mainly right wing in the last decade. Source is the Anti-defamation league and they don't exactly take Islamic violence lightly. Last edited by lobosrul5; 8th November 2018 at 09:40 AM. OK, but that's something completely different. First, the topic is terrorism. It might be tricky to define (no trickier than 'ideologically motivated murder') but luckily we have experts to do that for us. All we need to do is read the stats, as in the link I posted. Second, the topic is terrorism in Europe. In the US they face different challenges, I'm aware of that. Like in Pakistan, different challenges. In China, different challenges. The US and Europe are cultural, ideological and social poles apart. Third, you state your graph shows 'ideologically motivated murders'. It does not. (EDIT: apologies, I misread your post, you didn't state this, but I'll leave this in) By its title we can see is shows 'ideologically motivated murder incidents'. That is very different and your conclusion does not follow from that graph. You're correct, though - there are more far right killings in the US - but if you want to compare the ideological threat of Islam vs the ideological threat of the far right (as opposed to your risk from either) you need to consider the pool of potential attackers in each. And that's when you see how massively over-represented Islam is in this area, even in the US. Last edited by baron; 8th November 2018 at 03:50 PM. I dont' see how anybody could debate that right wing violence has, over the past few years, taken over from Islamist violence as the most dangerous in the US. Of course this could change. In Europe in the 70's and early 80's Left wing violence of the Baader Meinhoff/Red Brigade variety was easily the most dangerous. Nobody is doing that, at least not here, in a thread about Europe. In fact, people don't seem to be doing much of anything here since I posted the facts. You could start a thread about terrorism in the US and I'll be happy to admit right wing terrorism in the US is a serious and growing problem. Just how serious and how dangerous as compared with Islamic terrorism I touched on here, showing that the evidence for it being the primary threat in the US is equivocal to say the least. That was a thread killer too. [between 2008 and 2016 in the US] ...32% of the terror attacks and 51% of the deaths were by Muslims, who comprise 1% of the population. Now whilst the numbers stand on their own, that last one bears stressing. ONE PERCENT of the population. As I say, that would require a new thread. You're correct, though - there are more far right killings in the US - but if you want to compare the ideological threat of Islam vs the ideological threat of the far right (as opposed to your risk from either) you need to consider the pool of potential attackers in each. And that's when you see how massively over-represented Islam is in this area, even in the US. Presumably you have some statistical backing to that claim? Can't be bothered to what? Click the link that I provided? The ideological threat of the extreme right is clearly much larger as they pose an actual threat to democracy. Islamism doesn't, at least in the West. I guess us non-wingnuts have the advantage to be able to despise both extremist right wing terror and extremist Islamist terror. Guess that's a bit unfair in discussions like this. "Right wing terrorism in Europe" poses a threat to democracy? Can we see some evidence of that? Well, it's now been said, so fair play to you for that. No, wait, it wasn't you who said it! It was me! So thanks for the personal insult and I hope the facts haven't offended you too much. Right-wing groups are very effective in gaining footholds in local government and law enforcement - unlike Islamic extremists. So yeah, systemically, Right-Wing terror is far more dangerous. Which influential right wing political parties in Europe have a terrorist wing? First: actually the ADL says terrorist. Whatever, whether people go about killing others to effect political change through fear or just because they hate them isn't too big of a concern IMO. Second: yes it was. You posted "This is true even in the US" and then put up some stats. That is what I was responding to. That stat is total number of murders, not number of incidents. Yes I suppose its troubling that so many murders are committed by such a small percentage of our population (only ~1% are Muslims). But its also troubling that there has been such a huge growth of right wing violence recently. We already devote a huge amount of resources to prevent Islamic terror attacks, but the current administration handwaves away right-wing violence. Then of course the number of random mass shooting victims almost certainly outstrips them both. Last edited by lobosrul5; 9th November 2018 at 10:28 AM. Calling something "right wing" or "left wing" is nonsensical especially when trying to categorize murders. We have another way to categorize murders. Could it be anything to do with the poverty of disadvantage that these descendants of white-enslaved people have continued to face under the white American hegemony, which has been recently seen newly emboldened white supremist attitudes? Or is it that black people are genetically and or culturaly inferior and predisposed to homocide? Just throwing some ideas out there while trying to understand your own take on this graph and the other similar you posted recently. Last edited by Sideroxylon; 10th November 2018 at 06:54 PM. Possibly a contributing factor, but it doesn't explain hispanics, who were not enslaved. Ordinary poverty seems to be a contributing factor as well, but an incomplete explanation. which has been recently seen newly emboldened white supremist attitudes? Not relevant. This isn't a recent phenomenon. Genetically? Unlikely. Culturally? Unfortunately, yes. Lower class black culture is steeped in gangs, drugs, and broken families. The causes of that dysfunction are not simple, but their existence is quite plain. I'm curious how those figures would change if you only counted ideologically motivated killings. The direction of change is obvious, but I don't have much intuition on the magnitude. We're talking about the US again. Those figures, incidentally, are bogus in this context for the reasons stated on the graphic. How can a terrorist attack not be motivated by ideology? It's impossible. The ADL include many domestic crimes, for instance, committed by extremists, not because of their nutty views but just because they are unbalanced. Whether the ADL produced the graph with dubious intent or whether you misinterpreted the meaning of the graph, it doesn't matter. Let's stick with the established figures. As for the OP, we can take it as read that it is wrong. I proved that in my first post. Last edited by baron; 12th November 2018 at 03:25 AM. I'm confused. Isn't this thread supposed to be about right wing terrorism in Europe? Second, the topic is terrorism in Europe. Nobody is doing that, at least not here, in a thread about Europe. These Nazi freaks, enabled by unscrupulous scum like Viktoria Nuland and John McCain (may he rot in hell), are still daily terrorizing the people of Donbass with random artillery shelling and sniping. Please link to the source of this graphic, so we can better judge its veracity. Exactly terrorism does not exist and so shouldn't ever be recognized as a thing. They are all just simple murders no need to bother with more than that. The ADL include many domestic crimes, for instance, committed by extremists, not because of their nutty views but just because they are unbalanced. 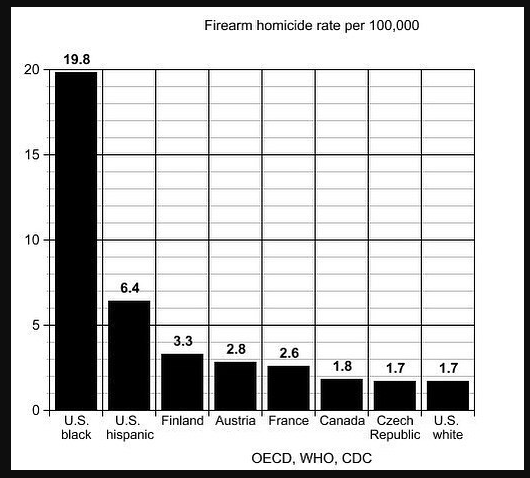 A lot of them are also ordinary criminal violence (ie, for money, drugs, etc.). That sort of activity isn't what you'd call well adjusted behavior, but it's not really crazy either.